Door Heihō are door-carrying Shy Guys from Yoshi's New Island. The door can be identified by its special pink texture. When Yoshi is within proximity on-screen, the Door Heihō pops out from underneath the door and proceeds to carry it away from Yoshi. The Door Heihō can escape into a pit, so Yoshi must defeat it in time in order to access the door. The areas it guards are optional for the game's completion, but are necessary to collect all of the items. The Door Heihō and its door respawns if the player backtracks and reloads the section, so it cannot be permanently missed during a stage's playthrough. 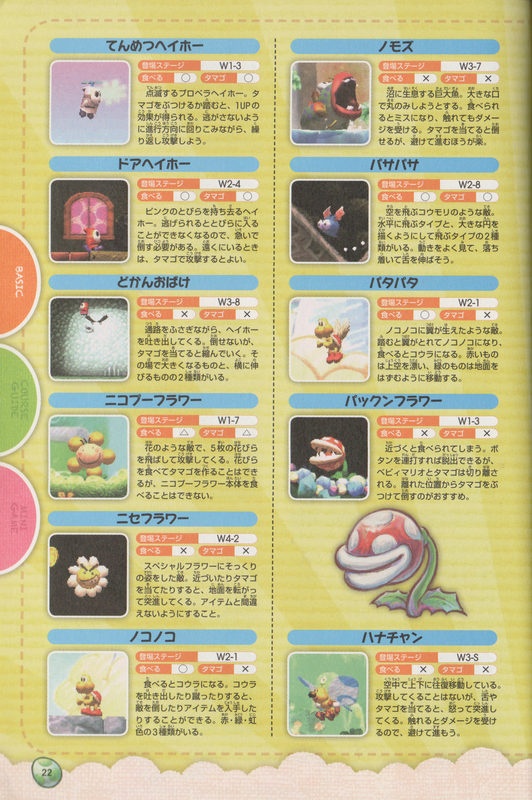 ↑ 「ヨッシー New アイランド 任天堂公式ガイドブック」 (Yoshi's New Island Nintendo Kōshiki Guidebook), page 22. This page was last edited on March 27, 2019, at 20:15.